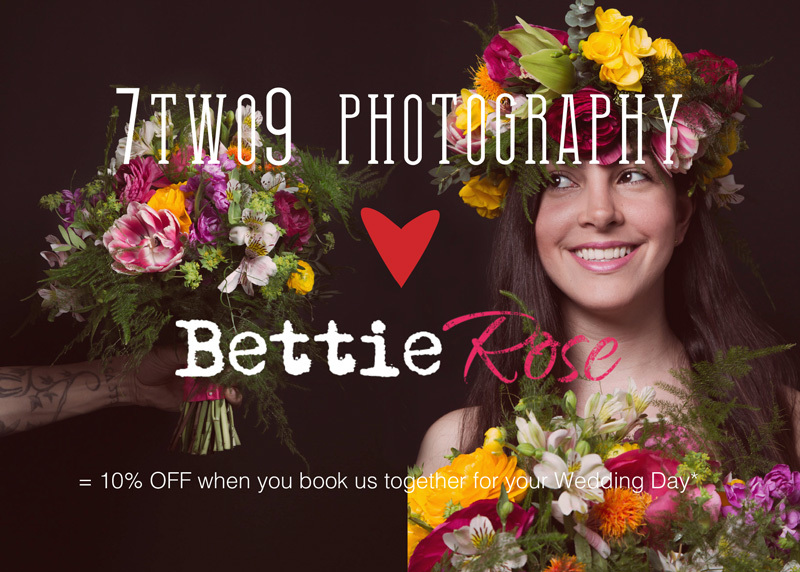 7two9 Photography & Bettie Rose Flowers = 10% Discount on your Wedding Day! Are you getting married or know anyone who is? We (7two9 Photography) are so excited about our new collaboration with Bettie Rose and to be able to share this fantastic "Book us together and get 10% discount from your Wedding Photography & Wedding Flowers!" Special Offer! Lib from Bettie Rose is a creative florist and lover of colour, based in Brighton and specialising in Weddings and bespoke events throughout Sussex and the South East. If you want to check her out, please visit www.bettierose.co.uk !